An awesome project in so many ways. This English-language video includes subtitles in Chinese and Russian. 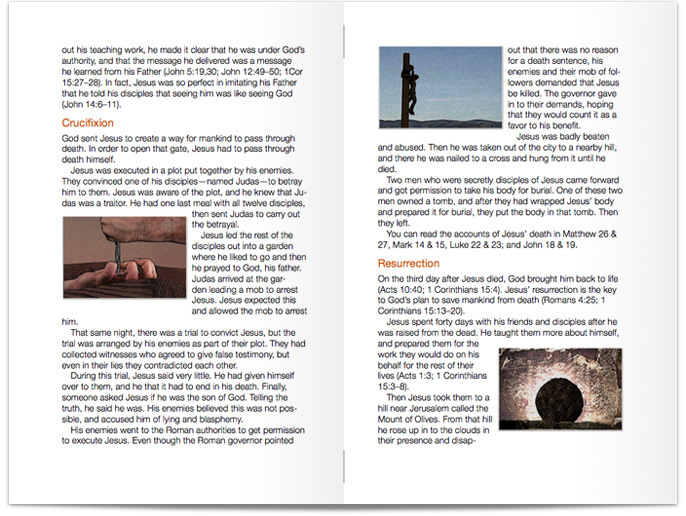 This meant designing the packaging and laying out the transcript for the companion booklet in all three languages. Not something we get to do every day! When WCF came to us with the idea of making a series of videos to introduce fundamental concepts of the Bible to multiple countries and multiple languages, we were very excited to be part of it. Figure out a way to create a visual that will summarize the main subject of the dvd and remain clear and relevant across multiple languages. After some careful thought, we decided on using an isolated image with a clear visual message on a white background. 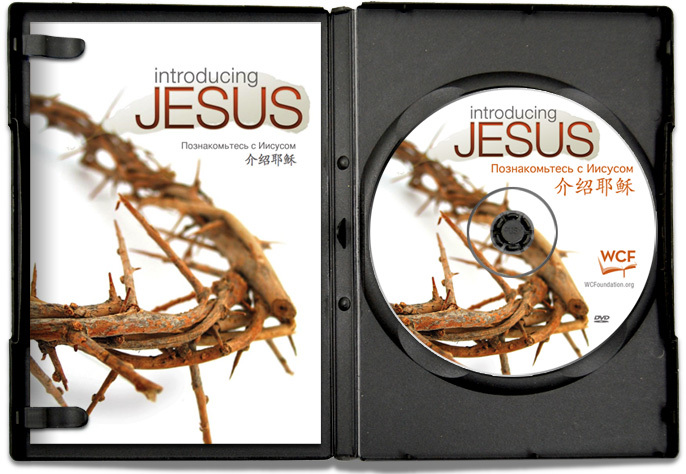 The DVD jacket, face, and booklet all use the isolated crown-of-thorns image to clearly represents Jesus. Other topics will feature different objects to represent the idea of things like Satan, and the Kingdom. To make each video different, we sampled a saturated color from each of the images and used that as the visual identifier for each DVD. 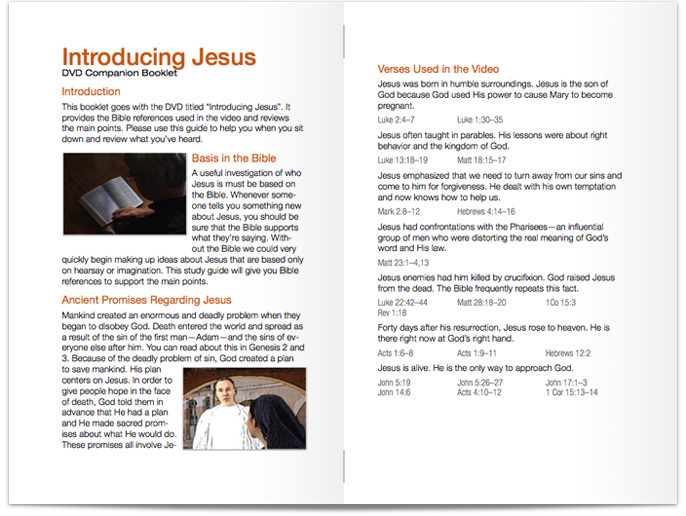 Each DVD includes a booklet introducing the video and containing the transcript. 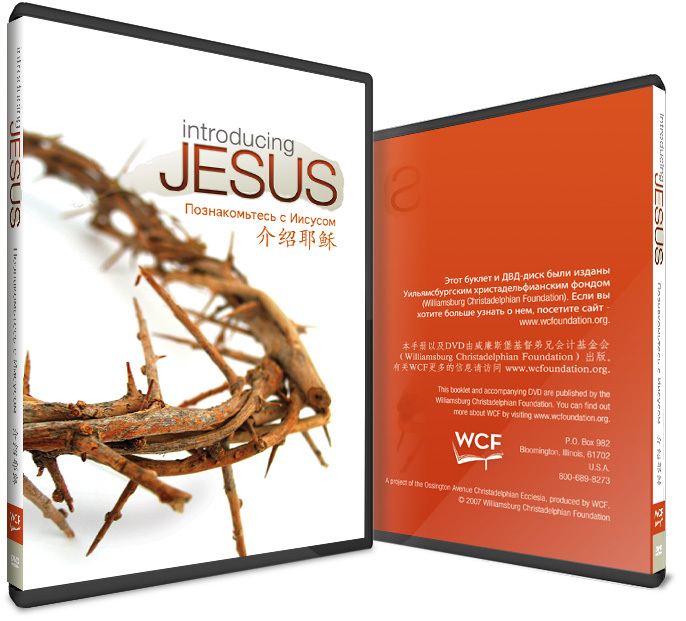 The booklet was typeset in Chinese, Russian, and English. And yes, it was as fun as you might be imagining. To illustrate the booklet and break up the gray we used still images pulled directly from the video. This enhances the connection between media for those following along.